While I'm here in Tel Aviv waiting for the day when I can turn off my air conditioner (come on, November! 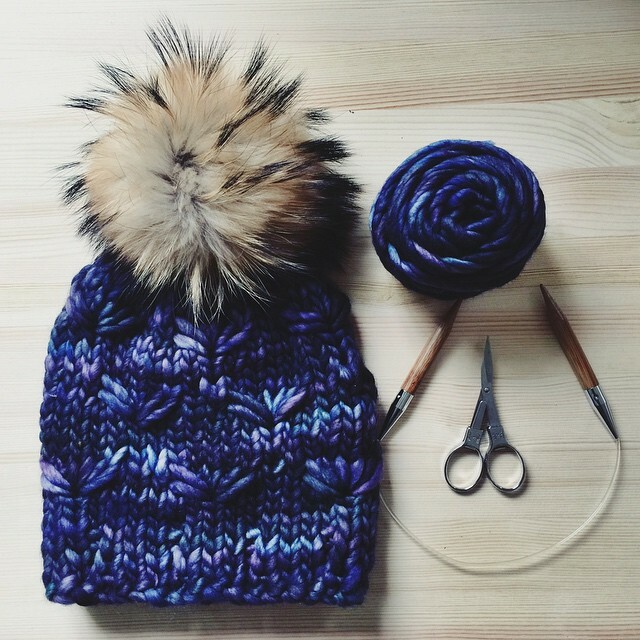 ), I know my friends and family back in Boston are quietly transitioning to their fall wardrobes of ankle boots, cozy sweaters and all things wool. That's where Sh*t That I Knit comes in. 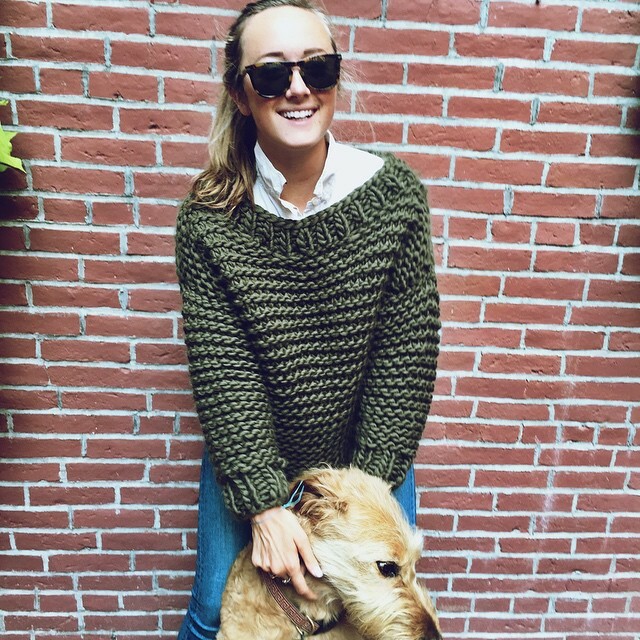 Founded by Bostonian and "Chief Knitting Officer" Christina Fagan, Sh*t That I Knit is made up of a team of 20- and 30-something women (and one dude) who hand knit some super luxe sh*t out of hand-dyed Peruvian wool while commuting to work, binge watching Netflix and getting pedicures. 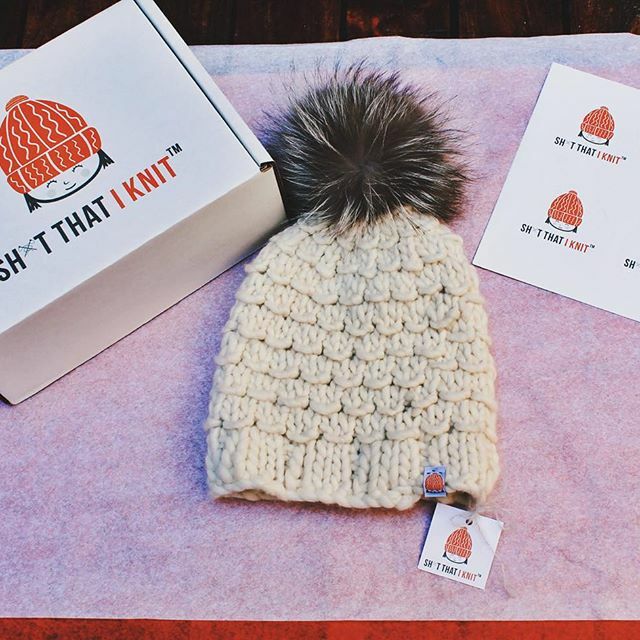 With Sh*t That I Knit selling like hotcakes, particularly their perfect fur pom-pom hats, the company has launched a Kickstarter campaign to ensure they can keep up with demand without sacrificing their amazing quality materials or moving production offshore. Pledge anywhere from $25 for a t-shirt to $750 for a knitting party. Options in between include one of the legendary fur pom-pom hats (of course) for just $120, down from the regular price of $199. If I still lived in a place where winter happened, you know I'd be getting in on this sh*t!